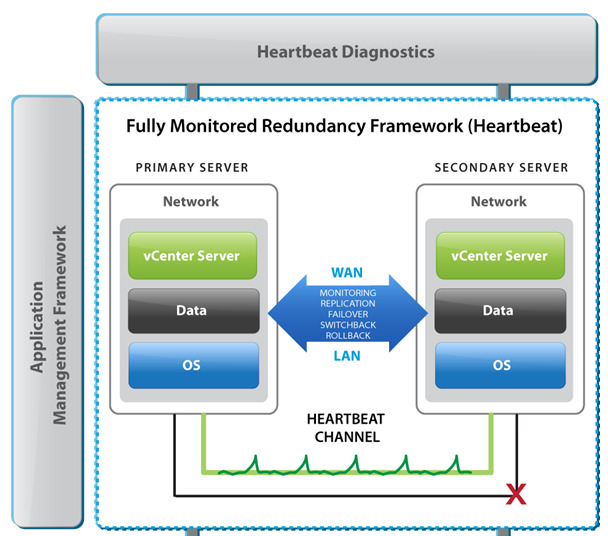 Following Chargeback and vSphere Storage Appliance, it’s now time of vCenter Heartbeat being announced as End of Availability (EOA). I know I mention it twice already, but it worth to mention again. End of Availability (EOA) is not End of Life (EOL), which means, when a product is EOA you will not be able to purchase it anymore, for Heartbeat this date was June 2nd, 2014. If we think about it for a minute, we will see why VMware is doing that. - The complexity of installing and managing Heartbeat does not result in meaningful uptime for the application if compared to High Availability. Does that mean VMware is not concerned about other options to protect it’s core service ? Absolutely NOT, I’m sure we will see soon new ways of protecting it.